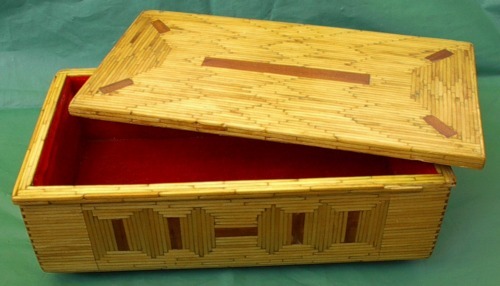 This box was built from hundreds of wooden matchsticks. The face is 25 matches high and 6 matches end to end. There is a pattern only on the front side and the lid top. All other sides are just horizontal matches placed end to end. 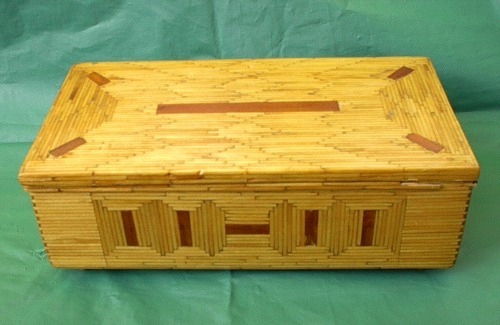 The pattern on the lid is a combination of diamond and zig-zag. The inside is lined with red velvet.